Grown primarily in Peru at altitudes between 4,500 and 10,000 feet, the lucuma fruit has been prized for generations by Peruvians as a resource for longevity and virility. In ancient times, lucuma was a symbol of fertility to the Incas, which is why it’s often referred to as the “gold of the Incas.” The fruit itself looks like a cross between a mango and a pear, with golden flesh bursting with healthy beta carotene and B vitamins. vitamins. 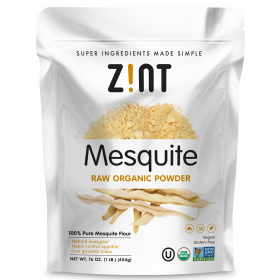 Its naturally sweet flavor is often described as a mix of sweet potato and maple. 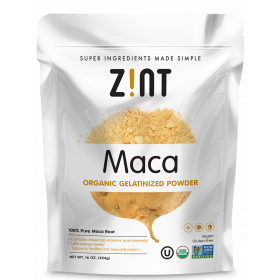 Zint Organic Lucuma Powder is sourced from family-owned farms in the Andes mountains of Peru, who harvest and sell their produce in accordance with global fair trade values. 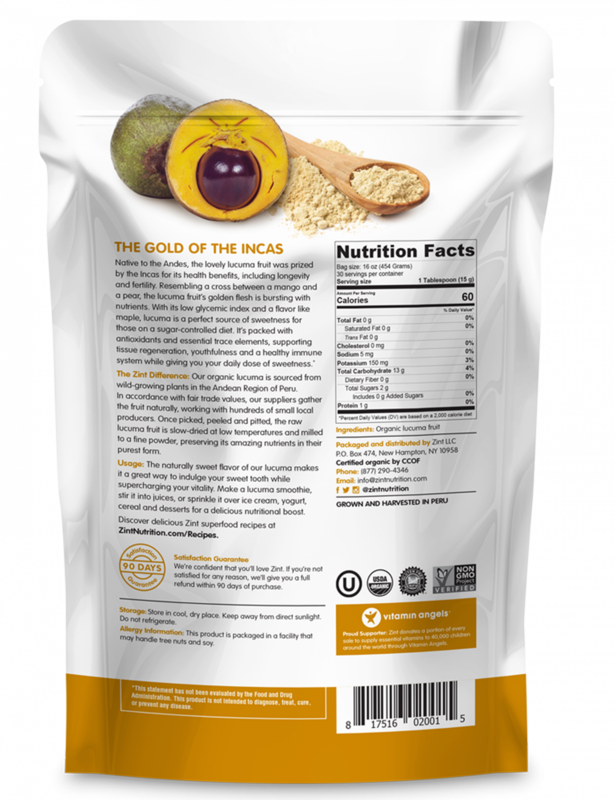 Once picked, peeled and pitted, the fruit is slow-dried at low temperatures and gently milled into a fine powder to preserve lucuma’s amazing health benefits in their purest and most bioavailable form. 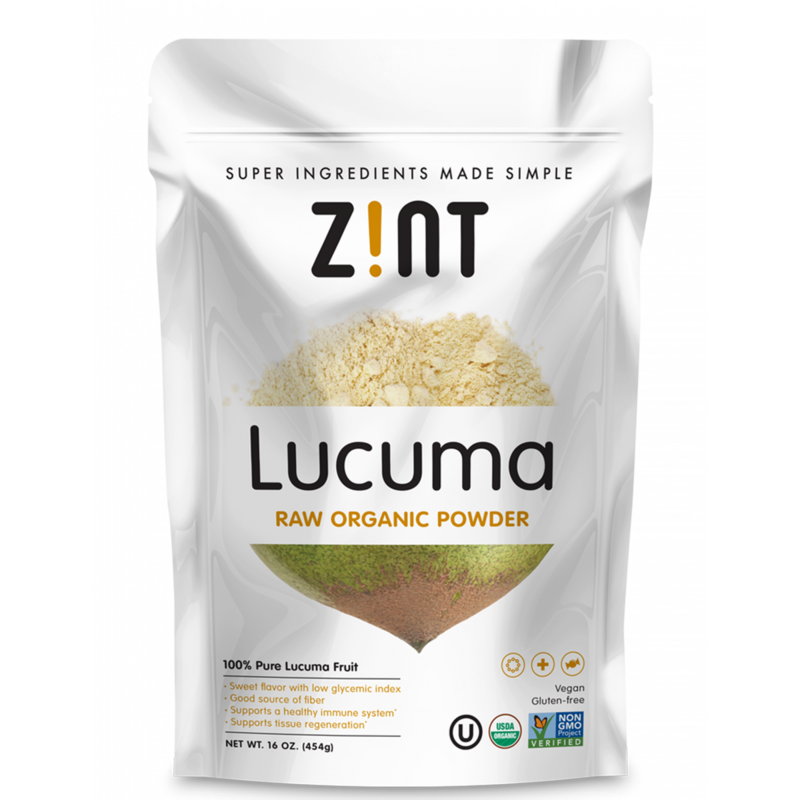 With a low glycemic index of 25, lucuma is a perfect sugar substitute for those on a sugar- controlled diet. 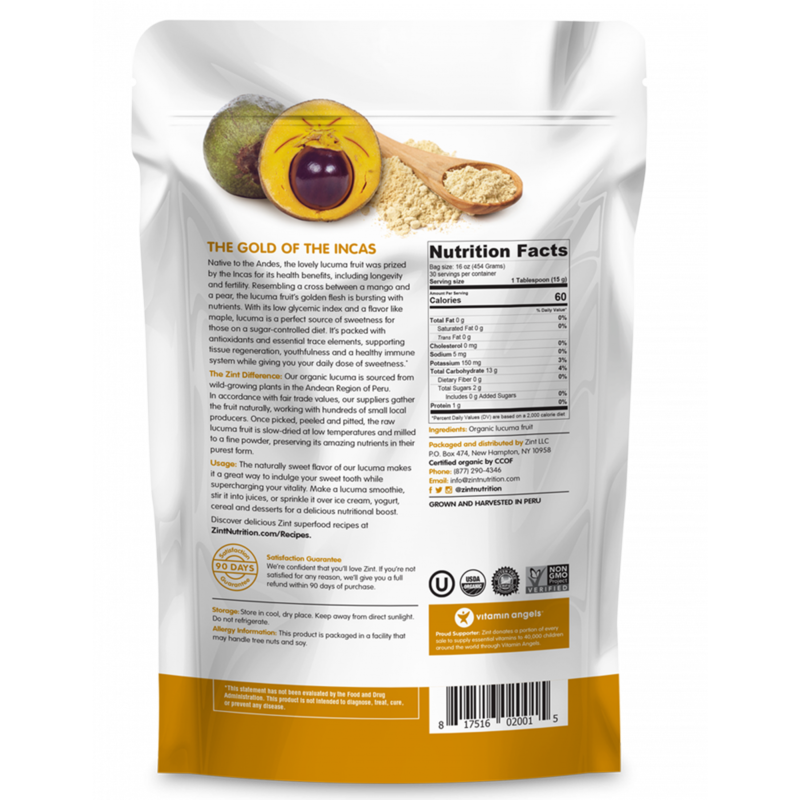 In addition, lucuma’s high-protein content helps stabilize blood sugar and curb the appetite. Lucuma’s rich antioxidant profile has immune-system- boosting properties and is known to aid in wound-healing. It also acts as a natural antibiotic, antifungal and antimicrobial in the body. Lucuma is revered for its natural healing properties in all of the regions in which it grows. 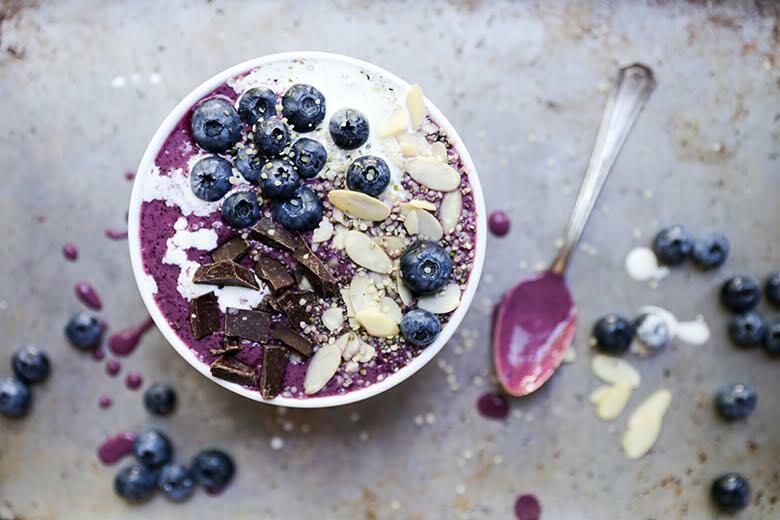 I'm a smoothie fanatic, I'm always searching for new superfood discoveries and flavors to blend into my smoothie creations. 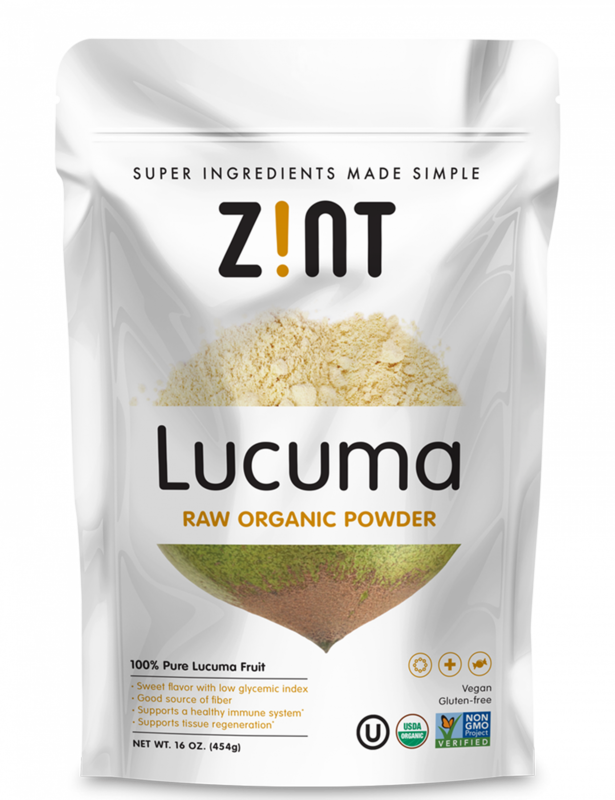 Never heard of Lucuma before but obviously Z!NT has, this stuff tastes fantastic, it has a fine powdered consistency that mixes effortlessly in liquids. 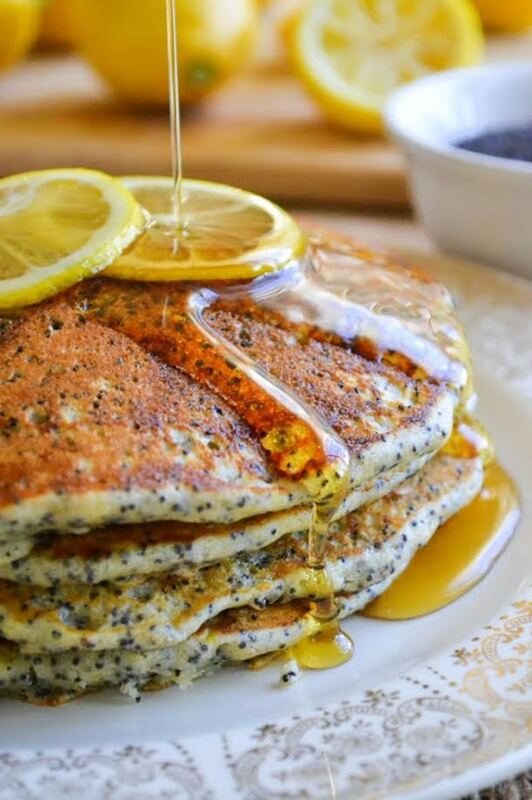 The flavor is a blend of mango and maple syrup. Adds a nice touch of sweetness with a very low glycemic index, choc full of antioxidants, beta carotene, fiber, vitamins and minerals. I read that its the #1 ice cream flavor in Peru. I love that it is certified Kosher, USDA Organic and gluten free. This is my new favorite smoothie ingredient. 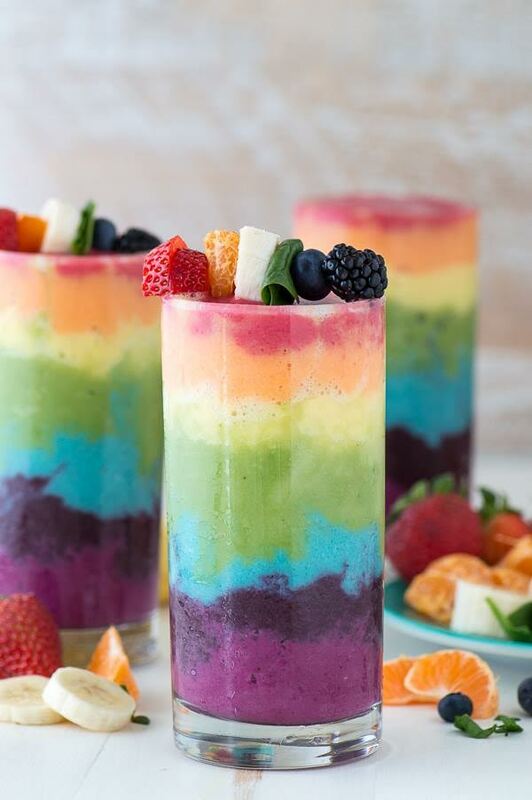 Highly recommended for smoothie lovers like me!